These are the first studio recordings made by the entire group, and a sampling of the most recent songs by orkestar leader Zach Condon. 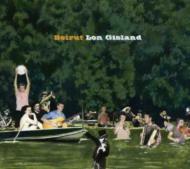 Lon Gisland features four new tunes and a full band reworking of Gulag's 'Scenic World.' the CD Ba Da Bing edition is in a highly collectible digipak format.